When implementing an inbound marketing campaign, the first things you have to understand are your current and prospective customers' needs, behaviors, demographics, challenges, and motives. In other words, what is going to make these customers engage with your content. As we will elaborate, the best way to go about this is to map out your ideal customer personas and truly understand what their needs and challenges are. 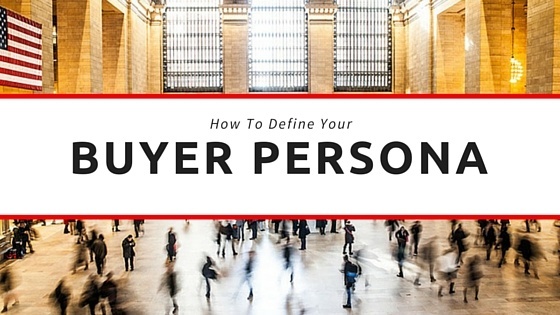 Here is how to define your buyer personas simplified. The first thing you have to do is narrow down your target audience based on their demographics and psychographics. Always remember that your customers, whether current or prospective, are your most valuable asset and will be the reason behind your success or failure. Research every single factor related to them whether it is their age ranges, education, housing/location, occupations, means of transport, family status, and leisure activities. It is important that you understand their attitude, personality, opinions, value systems, and interests. By understanding this info, you can extract who your ideal customer personas are and create content tailored for them. We can use a divide and rule policy – whereby we are splitting our target customers into different personas and attacking each of the personas with tailor made content targeting their specific needs. Using personas and dedicated content for each of the personas helps keep your content relevant and engaging. What are the sources through which we can identify customer needs? Speak with current customers – send them surveys asking about their hobbies, occupation and family status. Find out why they chose your company, what are the benefits that appealed to them. Analyze your website's Google Analytics - check the demographics of your current traffic. Crosscheck what you already know about your customers. Speak with your sales team - find out who they think the best customers are and what they already know about them and their habits. Search social media and visit Q&A websites such as Quora - search for question that you believe your target customers would be interested in discussing. This will help you brainstorm, as well as to understand the slang of your prospects. Search Google - find out average annual incomes, hobbies and interests. Read Industry research reports, papers and presentations, news articles and industry expert interviews. Sometimes, you will have to make educated judgements based on partial information available from research. Don't hesitate to do that. Let's take for example, an imaginary business to business (B2B) company that provides advanced web software development services. ImagineTech provide solutions for companies that want to outsource complex developments. Their customers are mainly CTOs, product managers and R&D managers. He wants to deliver great products. He is looking Experts who will take full responsibility and threat his company product as their own. Wants to make sure she is outsourcing to a company that can deliver and is on the same page as her. Understanding your different target personas helps in creating high quality content and messages which appeal exactly to a specific segment. When you think about it, what is the point of spending money on marketing and content if your target audience isn't interested in it? 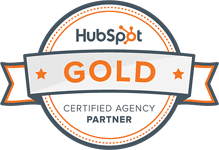 Next, read more on how to reach your target audience using Inbound Marketing. Have any insights? Please let us know.